Racism Is Literally Bad For Your Health Racism affects health outcomes, a new report finds. "The day-to-day little indignities" can negatively impact people's physical health, Harvard researcher David Williams says. 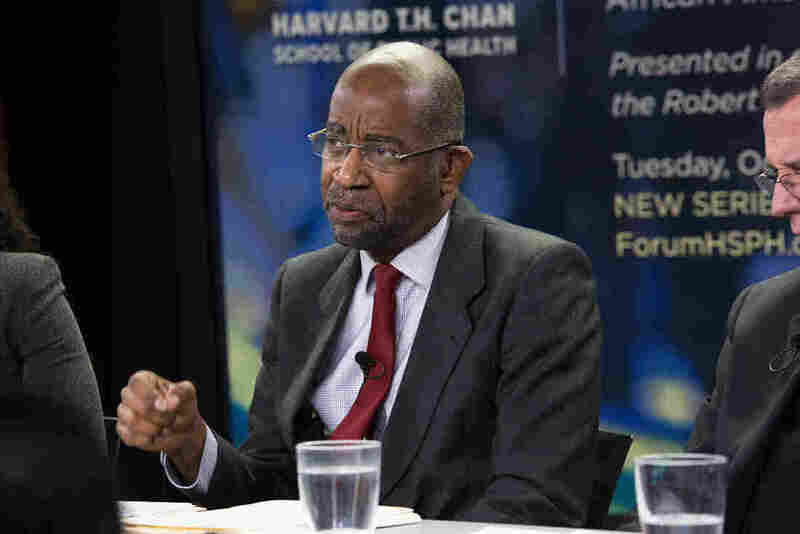 Harvard professor David Williams says, "Much of this discrimination that occurs in the health care context, and in other contexts of society, may not even be intentional." But discrimination can also lead to a less obvious result: tangible, measurable negative effects on health. A new survey conducted by NPR, the Robert Wood Johnson Foundation and the Harvard T.H. Chan School of Public Health asked members of different ethnic and racial groups about their experiences with discrimination. Ninety-two percent of African-American respondents said they felt discrimination against African-Americans exists in the United States today, and at least half said they have experienced it themselves at work or when interacting with police. All of this discrimination can literally be deadly, according to Harvard professor David Williams, who has spent years studying the health effects of discrimination. He tells NPR's Michel Martin: "Basically what we have found is that discrimination is a type of stressful life experience that has negative effects on health similar to other kinds of stressful experiences." The research indicates it is not just the big experiences of discrimination, like being passed over for a job or not getting a promotion that someone felt they might have been entitled to. But the day-to-day little indignities affect health: being treated with less courtesy than others, being treated with less respect than others, receiving poorer service at restaurants or stores. Research finds that persons who score high on those kinds of experiences, if you follow them over time, you see more rapid development of coronary heart disease. Research finds that pregnant women who report high levels of discrimination give birth to babies who are lower in birth weight. Across virtually every medical intervention, from the most simple medical treatments to the most complicated treatments, blacks and other minorities receive poorer-quality care than whites. African-Americans who are college-educated do more poorly in terms of health than whites who are college-educated. And these racial differences in the quality and intensity of care persist for African-Americans irrespective of the quality of insurance that they have, irrespective of their education level, irrespective of their job status, irrespective of the severity of disease. Much of this discrimination that occurs in the health care context, and in other contexts of society, may not even be intentional. There is intentional discrimination, but we think the majority of the discrimination that occurs in the health care context is driven by what we call "implicit bias" or "unconscious unthinking discrimination." If I am a normal human being, I am most likely to be prejudiced. Why? Because every society, every culture, every community has in groups and out groups. And if there are some groups that you have been taught — just subtly, as you were raised — to think of negatively, you will treat that person differently when you encounter someone from that group, without any negative intention on your part, even if you possess egalitarian beliefs. That's why you have to acknowledge that I and everyone else is a part of the human family, and these are normal human processes that occur, and the first step to addressing it is to acknowledge: "It could be me."